Elementary class is from 8:00am-3:00pm. We have an all day program available. When the child is not in class, the child will be cared for in our Family Room. 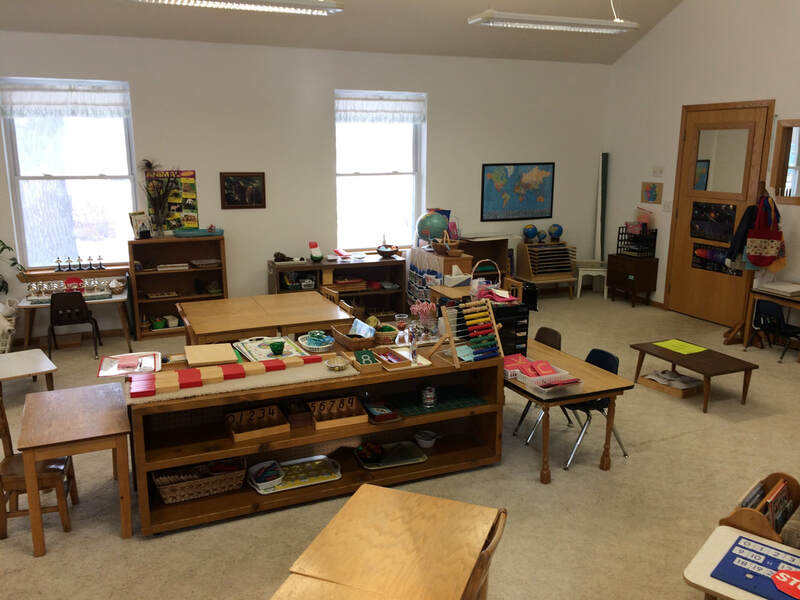 The Family Room provides a home-like atmosphere, and continues the Montessori principles. Nap room is available for children who need it. Heritage's hours are 6:45am-5:30pm. Class Only (3 hours per day/5 days per week) - $355.00/mo. Full Day (Includes 3 hour class per day, and before/after school care between the hours of 6:45am-5:30pm) - $695/mo. Students bring their own lunch. Milk with lunch is included. For students bringing cereal for breakfast, there is a $5/mo. fee for milk. $100 Registration Fee for first-time students due at time of enrollment. Students bring their own lunch. Snacks and milk are included with tuition. For students bringing cereal for breakfast, there is a $5/mo. fee for milk. Class Only (8:00am-3:00pm) - $595.00/mo. Before School Care + Class (6:45am-3:00pm) - $640.00/mo. Class + After School Care with 4:30pm Pickup (8:00am-4:30pm) - $660.00/mo. Class + After School Care with 5:30pm Pickup (8:00am-5:30pm) - $700.00/mo. Before School Care + Class + After School Care with 4:30pm Pickup (6:45am-4:30pm) - $715.00/mo. Before School Care + Class + After School Care with 5:30pm Pickup (6:45am-5:30pm) - $750.00/mo. Students bring their own lunch. Milk with lunch is included. For students bringing cereal for breakfast, there is a $5/mo. fee for milk. $100 Registration Fee for first-time students due at time of enrollment/$25.00 placement fee for returning students.